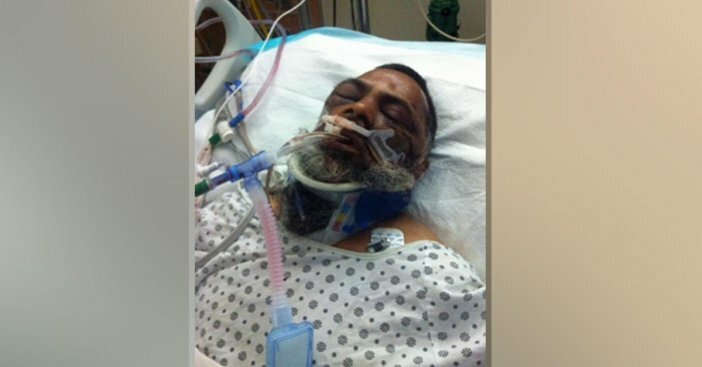 A Muslim man is hospitalized with face and rib fractures after being attacked by three men outside a mosque in Queens, according to police and an Islamic advocacy group. Mohamed Rasheed Khan, 59, was leaving the Center for Islamic Studies on Jamaica Avenue on Wednesday night when he was attacked, the local chapter of the Council on American-Islamic Relations said Sunday. Police are looking for three possible suspects, and hate crime investigators are looking into the case because the victim wasn't robbed and was wearing religious attire. Khan suffered a concussion, as well as fractures to his face and ribs, CAIR-NY said. He is scheduled for surgery Monday at Jamaica Hospital Center. The three suspects didn't take Khan's wallet, watch or bicycle and were seen laughing as they left the scene. "Because of the location of the attack outside a mosque, the Islamic attire of the victim, and because nothing was stolen by the alleged attackers, we urge law enforcement authorities to investigate a possible bias motive for this troubling incident," said CAIR-NY Executive Director Afaf Nasher. His family spoke Monday afternoon and denounced the violence. "My uncle is an American citizen that did not deserve this," said the man's niece. Anyone with information on the suspects should call Crime Stoppers at 1-800-577-TIPS.